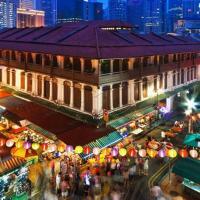 A celebration of traditional Chinese heritage and contemporary local life, there’s nowhere better to explore than Chinatown if you want to discover a little of Singapore’s history and eat some of the tastiest, cheapest and most authentic food in the city! 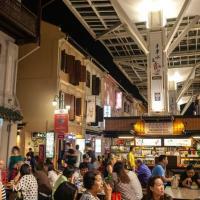 So explore Chinatown with a local and soak up the exciting fusion of fragrances, sights and tastes as you stroll through charming historic streets and eat your way around a traditional hawker centre. A feast for any foodie, you’ll be able to try the delicacies that Chinatown is famous for as well as taste dishes you may never have heard of and discover traditional (and unusual!) ingredients in the wet market. Discover traditional Chinatown and soak up the history of the character packed streets as you explore with your local, visiting important temples and traditional Chinese medicine shops, learning a little about the local culture and the origins of the area. 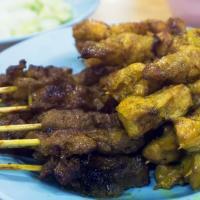 Explore the hawker centre with your local which is a paradise for any street food lover! You’ll be able to sample the dishes that Chinatown is renowned for like poh piah (fresh spring roll), chwee kueh (water rice cake) and the famous chicken rice. Your local knows the best vendors to buy each dish at, so as well as discovering new ingredients and delicacies, you know you’ll be eating only the very best and getting the most authentic and local taste of this well known food court. As well as eating your way around the hawker centre, you’ll visit the local wet market and where fresh produce (and even live seafood and other animals) are bought, so you’ll get an authentic glimpse into the local culture and see why the street food scene here is so unique. We’ll be in touch within 24 hours after booking to find out more about your personality, tastes and interests so we can assign a like-minded local who can create a bespoke experience for you. Your Local Host will communicate with you directly to suggest an itinerary and agree a meeting time and place. Your itinerary is flexible, so during the experience you can always change your mind about what you want to do and eat. Although you will see well known markets, eateries and stores, your Local Host will also help you to discover the places, things and stories that you won’t find in a guidebook and that make the city unique. CCancel up to 14 days before your experience and get a full refund. 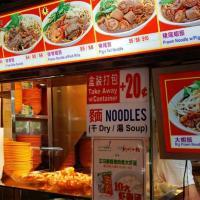 Our Chinatown food tour in Singapore with Francesca was fabulous! She was very knowledgeable and personable. She took very good care of us. We had a lot of fun and some great food. You can't go wrong if you book her.